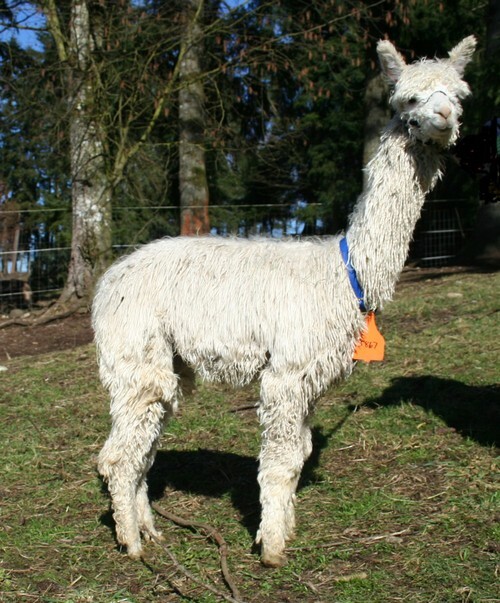 Our renowned Peruvian Accoyo Don Quixote II is an excellent herdsire on every count. The son of famous Accoyo Don Quixote I and PPPeruvian Gladius, he possesses quintessential Accoyo traits: outstanding fiber, luster, great athleticism, virility, and a spectacular bloodline. 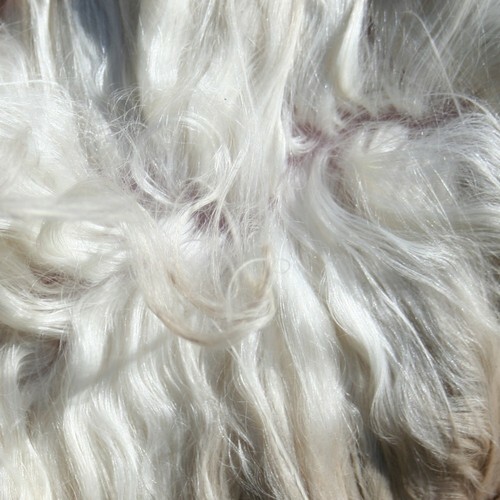 His fleece is beautiful with very nice luster and locking. 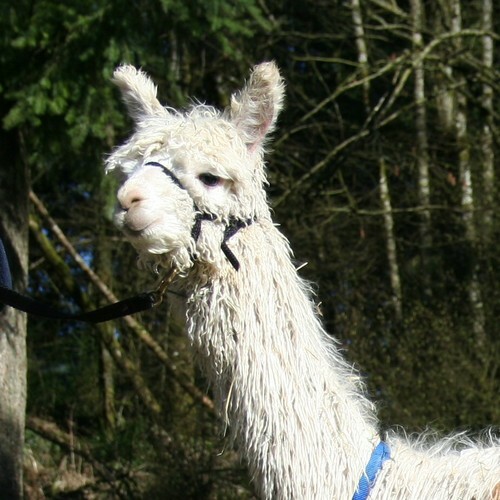 Don Quixote II is father to many fabulous NGG alpacas: Accoyo The Great Gatsby, Isis by Satin Lady, Mr. Kors, Rita, Double Delight, The Joker, Janitia's Jinni by Jillie, Accoyo Apollo, and Accoyo Crystal Lilly. Don Quixote II, like his father Don Quixote I, stands out among the rest. He would make the ideal herdsire for your herd. NGG Janita's Jillie is a direct descendent of Pperuvian Santiago and Pperuvian Janita. This incredible, white, proven, full peruvian, suri female produces phenomenal offspring with luscious luster and almost perfect lock structure including NGG Rita, NGG Janita's Jinni by Jillie, NGG Cole Porter, and NGG Julian by Jillie. NGG Janita's Jinni by Jillie is a beautiful proven, beige, full peruvian, suri female with outstanding shine and luster! Granddaughter of Accoyo Don Quixote I, Ppperuvian Gladius, Pperuvian Santiago, Pperuvian Janita, daughter of NGG Accoyo Don Quixote II and NGG Janita's Jillie.